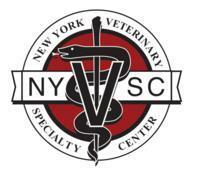 New York Veterinary Specialty and Emergency Center is a Veterinarians facility at 2233 Broadhollow Rd in Farmingdale, NY. Services New York Veterinary Specialty and Emergency Center practices at 2233 Broadhollow Rd, Farmingdale, NY 11735. To make a long story short. This place put my sisters cat down. It was a private cremation when she called to find out if the cat was ready no one knew where the cat was. they can't find the cat and no one knows what they did with him. My sister is heart broken. she cries all the time for this cat. He was to be buried with her. She wants her cat. and no one is doing anything about this. We paid close to $10,000 for them to help this cat and you just threw him away. I bet hey didn't throw away the money. This hospital is clean, well mannered and excellent with my dog! I would recommend them over and over again! Thank you!